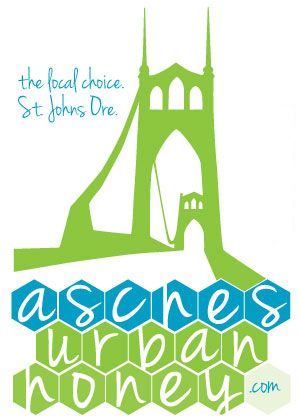 Asches Urban Honey the local choice. St. Johns Ore. Enter your email address for "The Buzz" updates. Just uploaded this video of our volunteer crew harvesting honey in the basement at Asches Urban Honey. We shot it on a hot August afternoon and this is a cool December afternoon when I finally got around to uploading. Thank you to all of our crew … the Legacy Good Samaritan nurses, our daughters, and our neighbors who came out to help. Enjoy the “Honey Harvest” video, a reminder of summer. Mary Ann Aschenbrenner urban honey farmer, website builder, community volunteer and SEO expert. She is the wife of John Aschenbrenner, mother of Alexis and Kindra Aschenbrenner, and President of Waterlink Web. © 2019 Asches Urban Honey. All Rights Reserved.